How can i bulk import for all products in Ali Express at once without clicking on product by product? From version 2.0 which is released on Nov 24th 2014, we add bulk import products function to help you build your store quickly. 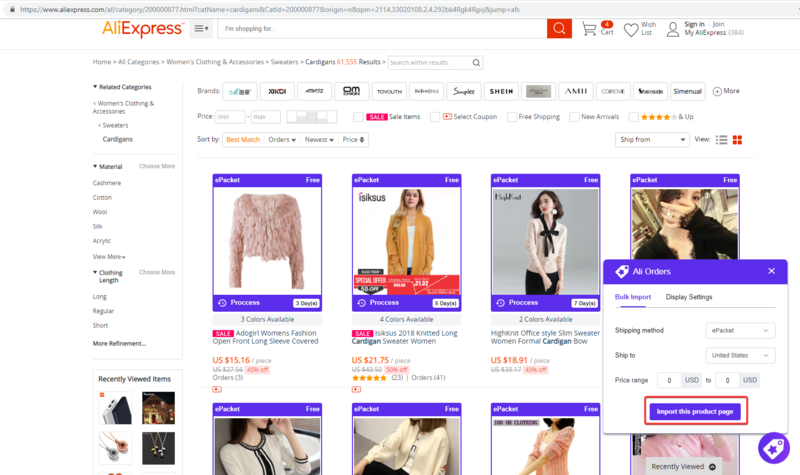 Go to AliExpress website www.aliexpress.com. Click on the Ali Orders icon on the right corner > Set some conditions to filter the products according to your need > Click on "Import this product page" button. Wait a second to complete the process. All products on this current page which are matched to the conditions are imported to your store. Go to Ali Orders dashboard > Import List and check the result.